The Big Brexit Gamble: How will Britain’s Divorce from Europe Affect the Gambling Industry? On the morning of Friday 24 June, as the world attempted to digest the news that Britain had voted to leave the European Union and wondered what impact this might have on a fragile global economy, some newspapers reported that the biggest winner in all this was the gambling industry. Of course, they were referring glibly to the betting markets on the referendum itself. After all, the favorite lost in a two-horse race, so the bookies cleaned up, right? But the wider, long-term ramifications for the industry are less cut and dried. Europe is the world center of the regulated online gambling industry and the UK its biggest market. And as that market prepares to tear up trade agreements and tighten border controls, it can’t be a good thing for business, any business, can it? In the immediate aftermath of the referendum results, the pound plunged to a 31-year low and the FTSE 100 Index took a nosedive, wiping millions off those same bookmakers that had “cleaned up” on the referendum. Swings and roundabouts? At the time of writing, almost a month after the event, both the pound and the FTSE have recovered a little, as Brexit shockwaves dissipate and bargain-hunting investors, who are willing to speculate that this might not be as bad as everyone’s saying, have, for now, restored some confidence in the markets. The problem is, though, no one really knows what the long-term effect will be on the UK and world economy, and the frightening thing is we might not see the signs of real damage for another two years. In the meantime, markets hate uncertainty, and the coming months, in which the UK will attempt to negotiate the best deal possible for itself and for Europe, will be crucial. Prime Minister David Cameron, who resigned on the morning of the vote, has passed the buck on this one. Europe wants a quick divorce, but his decision to step down and leave the negotiations to his successor, Theresa May, will cause months of delay, after which it will be a full two years before the UK goes, fueling yet more uncertainty in the markets. Negotiations on whether the UK can remain part of the single market, and whether it can retain a degree of cross-border movement of people, goods, and capital post-Brexit, will be crucial to safeguarding UK industry and maintaining London’s status as a global financial center. Without easy passage to and from Europe, global financial institutions, which have set up shop in London in order to gain free access to Europe and the single market, will move to the continent, and the tech industry and the talent will follow. New data released by the UK Gambling Commission reveals that the gambling industry has never been healthier. 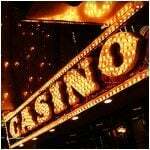 As a whole, its gross gambling yield (ie, the amount wagered minus winnings paid out) was a record $12.6 billion. Of that figure, £3.6 billion was spent by Brits on online gambling, £3.3 billion on the National Lottery and £3.2 billion in betting shops. But is this sustainable in the face of Brexit? Should the UK descend into recession, as many fear, the gambling industry is likely to be one of the more resilient sectors during times of economic stress, particularly online. Morgan Stanley this week said it remained optimistic about the long-term health of the UK online gambling industry, much of which, of course, has servers based outside the UK and caters to global regulated markets. “While lower consumer spending and a possible recession would reduce growth rates, we would expect continued market growth for online in a mild consumer recession,” said the analyst, citing “strong structural trends” of online gambling companies. For British betting shops, the outlook could be uglier in the event of economic downturn. High Street bookies will likely be impacted negatively by any increase in unemployment or dent in consumer confidence, said the analyst. “In the long-term, there could also be upward pressure on staff costs to the extent that reduced net migration into the UK puts upwards pressure on low-paid jobs, although we would not expect any material cost pressure beyond the pressure already included in forecasts from the living wage,” it added. From a regulatory point of view, there should be minimal upheaval for the majority of online gambling companies, with the exception of those licensed in Gibraltar, more of which later. In one sense, the UK left “Europe” when it introduced its point of consumption tax in November 2014. Previously, online gambling operators wishing to engage with the UK market could apply for licensing in a number of jurisdictions, such as the Isle of Man, Alderney, Malta and Gibraltar, which had been whitelisted by the UK government as having sufficiently robust sets of regulations. These jurisdictions, as well as providing the necessary infrastructure to accommodate the companies and their servers, offered favorable tax rates. POC now means that operators seeking to tap into the lucrative UK market have to be licensed and taxed by the UK Gambling Commission, paying a 15 percent levy on all bets make by British-based consumers, regardless of the operator’s location. Many argued that the new tax regime contravenes EU principles of free cross-border trade, but the fact is Europe is already regulatorily fragmented. The online gambling industry across Europe has faced a period of regulatory upheaval over the past five or six years, as individual states have chosen to license and tax the sector within their borders. The EU has no universal set of gambling regulations and most EU states are now either locally licensed or are attempting to put such regulation into place. The online gambling sector has weathered the storm of increased regulation and taxation across Europe and is now focusing on growth, and the post-Brexit landscape should remain largely the same. The UK is likely to continue to be a huge market, as Morgan Stanley has suggested, and operators will still need to apply to the UKGC for a license to access it. 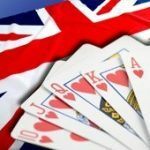 Most medium-to-large online gambling companies already have dual licensing in the UK and EU, and meanwhile, the UK has access to the international online poker liquidity pool, and will continue to do so. It should be business as usual. The one exception to this is Gibraltar, a major online gambling jurisdiction, for whom Brexit could prove to be catastrophic. Gibraltar is a British Overseas Territory on the southern tip of Spain that has a separate legal jurisdiction and tax system from the UK. Spain has long claimed sovereignty over the territory, a fact that has proved to be a testing point in Anglo-Spanish relations for years. Gibraltar, which is a member of the EU as a dependent territory of the UK, considers itself resolutely British. English is the official language and the pound the official currency, while voters have twice overwhelmingly rejected proposals to share sovereignty with Spain. In a 2002 referendum on the issue, 98 percent of residents rejected Spanish sovereignty. A similarly emphatic majority also rejected Brexit; some 95.5 percent of Gibraltarians opted to remain in the EU. But suddenly, Gibraltar, through no fault of its own, finds itself contemplating leaving the union, and that means Spain would have every right to close the border if it does. Gibraltar is tiny, an area of just 2.6 square miles, and as such many of the 3,400 or so workers employed by its online gambling industry (equating to 14 percent of the Gibraltar’s entire workforce) live just across the border in Spain, and travel freely to and from work as EU citizens. Should Spain close the border, as has been threatened, it would no longer be viable for the country’s 30 or so online gambling companies to remain. These are operators that have made Gibraltar their home includes big brands like 32Red, Gala-Coral, and William Hill. These operators would most likely need to relocate to the regulatory jurisdiction of Malta in the event of a “Gibexit,” to continue the fashion for coining portmanteaus, as guaranteed freedom of movement and provision of services in the single market would become priority. Gambling has been a boon for the territory, which has invested millions in its infrastructure in order to become the kind of tech powerhouse that can sustain the needs of an online gaming industry and its servers. The sector accounts for an estimated 25 percent of its GDP, which has risen every year since 2005 when Gibraltar was pronounced a whitelisted jurisdiction by the UK Gambling Act. In 2013, its GDP per head was £40,381, which would rank it among the top countries in the world, according to data from the World Bank. Again, much depends on negotiations with Brussels. Gibraltar, as we have seen, has little interest in becoming part of Spain, and even if it did this may not be the solution for its online gaming industry. Spain regulates gaming within its own borders alone and its future as a licensing regime under Spanish sovereignty is uncertain. The best thing for the jurisdiction would be that it is somehow able to negotiate a special deal with Brussels. There was a spirit of defiance this week among Gibraltar operators we spoke to who believe that this can happen. Secondary lottery operator Lottoland, which employs 160 staff members at its head offices in Gibraltar has emphatically declared its intention to remain. “We began operating from Gibraltar in May 2013 and it has been the perfect base for our business, providing an excellent platform for our success,” said Lottoland CEO, Nigel Birrell. “[The Brexit] result does not change our firm commitment to staying here. Brexit will not have a positive effect on the online gambling industry. It will make it more difficult for UK-based companies to hire foreign talent and vice-versa. It will diminish the UK’s influence on the EU towards promoting pragmatic, market-friendly gambling regulations. Possible economic decline will hurt the UK gambling business, although not as much as other sectors. But the fact is, Brexit is unlikely to cause more upheaval than the increased taxation and regulation across Europe over the past few years. 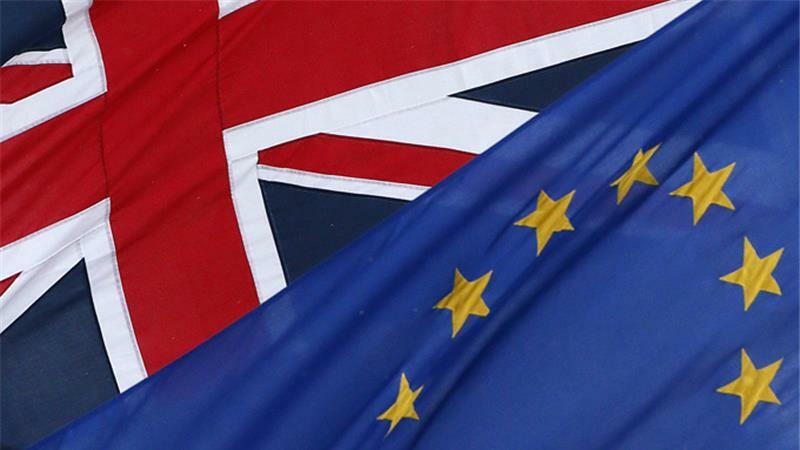 Should Brexit cause a domino effect, however, igniting calls for similar referenda throughout Europe, as other states demand to Frexit, Swexit or Hollexit, the breakup of the EU would be potentially disastrous for the regulated online gambling industry. While it does not possess a set of gambling regulations of its own, the EU applies pressure to member states to liberalize and regulate gambling within their borders. Without this influence, newly autonomous former EU states could return to state-monopolized systems of old, rejecting foreign operators. The winner here would be the online gambling black market, and consumer protections would be thrown to the dogs. We are, of course, talking worst-case scenario here, and Brexit throws up so many unknowable factors that it’s barely worth speculating about such things. And, of course, we don’t even know with absolute certainty that Brexit will actually happen. Currently, no one even seems sure exactly how to trigger Article 50, which would initiate the process of Britain leaving the EU. One theory goes that the UK will attempt to negotiate a more favorable deal, containing a few concessions to the “Leave” campaign, before holding another referendum on staying in under the new deal. Despite all its posturing, Brussels might just snap its hand off. Or not. As with so much of the issues surrounding Brexit, there are so many variables and so many unknowns about what the future holds. Speculation is useful, to a degree, but the truth is, we’ll just have to wait and see. 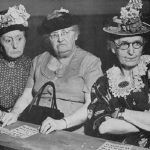 Just How Popular is Bingo? 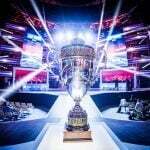 Esports – Where Does All That Money Come From?